It's wishlist Wednesday and I'm wishing everyone a merry J. Crew Christmas! Here is a snapshot of some of the festive goodies to give and get this year. 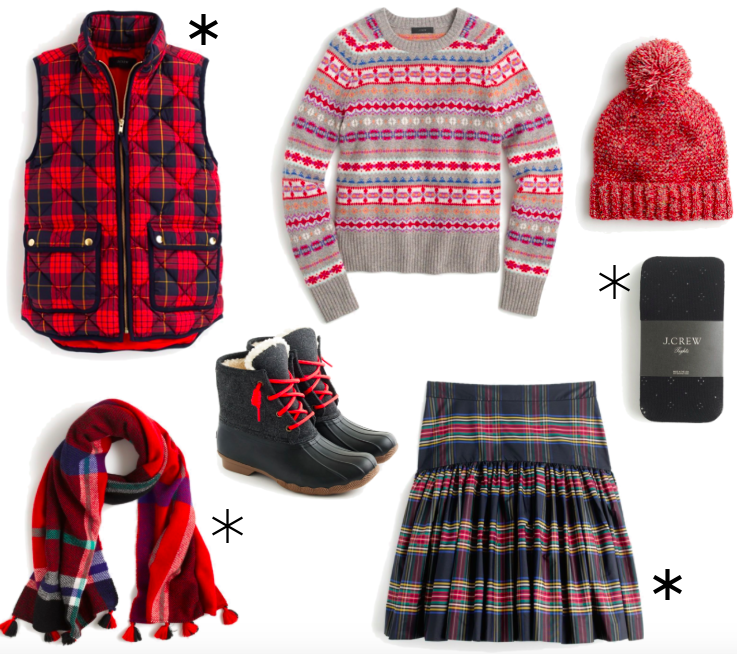 I scooped up this adorable tartan plaid skirt during black Friday. It'll be perfect for all those fun holiday parties coming up! These slippers are oh-so-cozy and that shade of pink...I also love this plaid excursion vest and this taffeta top (hello, New Year's Eve!) You can shop all these picks and my other holiday wishlist wants below. Hope you're having a wonderful week so far!